Directive 2005/32/EC of the European Parliament and of the Council of 6 July 2005 establishing a framework for the setting of ecodesign requirements for energy-using products (3) has been substantially amended. Since further amendments, strictly limited to the extension of the scope of application of that Directive to include all energy-related products, are to be made, that Directive should be recast in the interests of clarity. The disparities between the laws or administrative measures adopted by the Member States in relation to the ecodesign of energy-related products can create barriers to trade and distort competition in the Community and may thus have a direct impact on the establishment and functioning of the internal market. The harmonisation of national laws is the only means to prevent such barriers to trade and unfair competition. The extension of the scope to all energy-related products ensures that ecodesign requirements for all significant energy-related products can be harmonised at Community level. Energy-related products account for a large proportion of the consumption of natural resources and energy in the Community. They also have a number of other important environmental impacts. For the vast majority of product categories available on the Community market, very different degrees of environmental impact can be noted though they provide similar functional performances. In the interest of sustainable development, continuous improvement in the overall environmental impact of those products should be encouraged, notably by identifying the major sources of negative environmental impacts and avoiding transfer of pollution, when this improvement does not entail excessive costs. Many energy-related products have a significant potential for being improved in order to reduce environmental impacts and to achieve energy savings through better design which also leads to economic savings for businesses and end-users. In addition to products which use, generate, transfer, or measure energy, certain energy-related products, including products used in construction such as windows, insulation materials, or some water-using products such as shower heads or taps could also contribute to significant energy savings during use. The ecodesign of products is a crucial factor in the Community strategy on Integrated Product Policy. As a preventive approach, designed to optimise the environmental performance of products, while maintaining their functional qualities, it provides genuine new opportunities for manufacturers, consumers and society as a whole. Energy efficiency improvement — with one of the available options being more efficient end use of electricity — is regarded as contributing substantially to the achievement of greenhouse gas emission targets in the Community. Electricity demand is the fastest growing energy end use category and is projected to grow within the next 20 to 30 years in the absence of any policy action to counteract this trend. A significant reduction in energy consumption as suggested by the Commission in its European Climate Change Programme (ECCP) is possible. Climate change is one of the priorities of the Sixth Community Environment Action Programme, laid down by Decision No 1600/2002/EC of the European Parliament and of the Council (4). Energy saving is the most cost-effective way to increase security of supply and reduce import dependency. Therefore, substantial demand-side measures and targets should be adopted. Action should be taken during the design phase of energy-related products, since it appears that the pollution caused during a product’s life cycle is determined at that stage, and most of the costs involved are committed then. A coherent framework for the application of Community ecodesign requirements for energy-related products should be established with the aim of ensuring the free movement of those products which comply with such requirements and of improving their overall environmental impact. Such Community requirements should respect the principles of fair competition and international trade. Ecodesign requirements should be set taking account of the goals and priorities of the Sixth Community Environment Action Programme, including, as appropriate, applicable goals of the relevant thematic strategies of that Programme. This Directive seeks to achieve a high level of protection for the environment by reducing the potential environmental impact of energy-related products, which will ultimately be beneficial to consumers and other end-users. Sustainable development also requires proper consideration of the health, social and economic impact of the measures envisaged. Improving the energy and resource efficiency of products contributes to the security of the energy supply and to the reduction of the demand on natural resources, which are preconditions of sound economic activity and therefore of sustainable development. A Member State that deems it necessary to maintain national provisions on grounds of overriding needs relating to the protection of the environment, or to introduce new provisions based on new scientific evidence relating to the protection of the environment on grounds of a problem specific to that Member State that arises after the adoption of the applicable implementing measure, may do so under the conditions laid down in Article 95(4), (5) and (6) of the Treaty, which provides for prior notification to, and approval from, the Commission. In order to maximise the environmental benefits from improved design, it may be necessary to inform consumers about the environmental characteristics and performance of energy-related products and to advise them on how to use products in a manner which is environmentally friendly. The approach set out in the Commission’s Communication of 18 June 2003 entitled ‘Integrated Product Policy — Building on Environmental Life-Cycle Thinking’, which is a major innovative element of the Sixth Community Environment Action Programme, aims to reduce the environmental impacts of products across the whole of their life cycle, including in the selection and use of raw materials, in manufacturing, packaging, transport and distribution, installation and maintenance, use and end-of-life. Considering at the design stage a product’s environmental impact throughout its whole life cycle has a high potential to facilitate improved environmental performance in a cost-effective way, including in terms of resource and material efficiency, and thereby to contribute to achieving the objectives of the Thematic Strategy on the Sustainable Use of Natural Resources. There should be sufficient flexibility to enable this factor to be integrated in product design whilst taking account of technical, functional and economic considerations. Although a comprehensive approach to environmental performance is desirable, greenhouse gas mitigation through increased energy efficiency should be considered a priority environmental goal pending the adoption of a working plan. It may be necessary and justified to establish specific quantified ecodesign requirements for some products or environmental aspects thereof in order to ensure that their environmental impact is minimised. Given the urgent need to contribute to the achievement of the commitments in the framework of the Kyoto Protocol to the United Nations Framework Convention on Climate Change, and without prejudice to the integrated approach promoted in this Directive, some priority should be given to those measures with a high potential for reducing greenhouse gas emissions at low cost. Such measures can also contribute to a sustainable use of resources and constitute a major contribution to the 10-year framework of programmes on sustainable production and consumption agreed at the World Summit on Sustainable Development in Johannesburg from 26 August to 4 September 2002. As a general principle and where appropriate, the energy consumption of energy-related products in stand-by or off-mode should be reduced to the minimum necessary for their proper functioning. While the best-performing products or technologies available on the market, including on international markets, should be taken as a reference, the level of ecodesign requirements should be established on the basis of technical, economic and environmental analysis. Flexibility in the method for establishing the level of requirements can make swift improvement of environmental performance easier. Interested parties should be consulted and cooperate actively in this analysis. The setting of mandatory measures requires proper consultation of the parties involved. Such consultation may highlight the need for a phased introduction or transitional measures. The introduction of interim targets increases the predictability of the policy, allows for accommodating product development cycles and facilitates long-term planning for interested parties. Priority should be given to alternative courses of action such as self-regulation by the industry where such action is likely to deliver the policy objectives faster or in a less costly manner than mandatory requirements. Legislative measures may be needed where market forces fail to evolve in the right direction or at an acceptable speed. Self-regulation, including voluntary agreements offered as unilateral commitments by industry, can enable quick progress due to rapid and cost-effective implementation, and allows for flexible and appropriate adaptations to technological options and market sensitivities. For the assessment of voluntary agreements or other self-regulation measures presented as alternatives to implementing measures, information on at least the following issues should be available: openness of participation, added value, representativeness, quantified and staged objectives, involvement of civil society, monitoring and reporting, cost-effectiveness of administering a self-regulatory initiative and sustainability. The Commission’s Communication of 17 February 2002, entitled ‘Environmental Agreements at Community level within the Framework of the Action Plan on the Simplification and Improvement of the Regulatory Environment’, could provide useful guidance when assessing self-regulation by industry in the context of this Directive. This Directive should also encourage the integration of ecodesign in small and medium-sized enterprises (SMEs) and very small firms. Such integration could be facilitated by wide availability of, and easy access to, information relating to the sustainability of their products. Energy-related products that comply with the ecodesign requirements laid down in implementing measures to this Directive should bear the ‘CE’ marking and associated information, in order to enable them to be placed on the internal market and move freely. The rigorous enforcement of implementing measures is necessary to reduce the environmental impact of regulated energy-related products and to ensure fair competition. When preparing implementing measures and the working plan, the Commission should consult Member States’ representatives as well as interested parties concerned with the product group, such as industry, including SMEs and craft industry, trade unions, traders, retailers, importers, environmental protection groups and consumer organisations. When preparing implementing measures, the Commission should also take due account of existing national environmental legislation, in particular that concerning toxic substances, which Member States have indicated should be preserved, without reducing the existing and justified levels of protection in the Member States. Regard should be given to the modules and rules intended for use in technical harmonisation Directives set out in Decision No 768/2008/EC of the European Parliament and of the Council of 9 July 2008 on a common framework for the marketing of products (5). Surveillance authorities should exchange information on the measures envisaged within the scope of this Directive with a view to improving surveillance of the market, having regard to Regulation (EC) No 765/2008 of the European Parliament and of the Council of 9 July 2008 setting out the requirements for accreditation and market surveillance relating to the marketing of products (6). Such cooperation should make the utmost use of electronic means of communication and relevant Community programmes. The exchange of information on environmental life cycle performance and on the achievements of design solutions should be facilitated. The accumulation and dissemination of the body of knowledge generated by the ecodesign efforts of manufacturers is one of the crucial benefits of this Directive. A competent body is usually a public or private body, designated by the public authorities, that presents the necessary guarantees for impartiality and availability of technical expertise for carrying out a verification of the product with regard to its compliance with the applicable implementing measures. Noting the importance of avoiding non-compliance, Member States should ensure that the necessary means are available for effective market surveillance. In respect of training and information on ecodesign for SMEs, it may be appropriate to consider accompanying activities. It is in the interest of the functioning of the internal market to have standards which have been harmonised at Community level. Once the reference to such a standard has been published in the Official Journal of the European Union, compliance with it should raise a presumption of conformity with the corresponding requirements set out in the implementing measure adopted on the basis of this Directive, although other means of demonstrating such conformity should be permitted. One of the main roles of harmonised standards should be to help manufacturers in applying the implementing measures adopted under this Directive. Such standards could be essential in establishing measuring and testing methods. In the case of generic ecodesign requirements, harmonised standards could contribute considerably to guiding manufacturers in establishing the ecological profile of their products in accordance with the requirements of the applicable implementing measure. These standards should clearly indicate the relationship between their clauses and the requirements dealt with. The purpose of harmonised standards should not be to fix limits for environmental aspects. For the purpose of the definitions used in this Directive it is useful to refer to relevant international standards such as ISO 14040. This Directive is in accordance with certain principles for the implementation of the new approach as set out in the Council Resolution of 7 May 1985 on a new approach to technical harmonisation and standards (7) and of making reference to harmonised European standards. The Council Resolution of 28 October 1999 on the role of standardisation in Europe (8) recommends that the Commission examine whether the New Approach principle could be extended to sectors not yet covered as a means of improving and simplifying legislation wherever possible. This Directive is complementary to existing Community instruments such as Council Directive 92/75/EEC of 22 September 1992 on the indication by labelling and standard product information of the consumption of energy and other resources by household appliances (9), Regulation (EC) No 1980/2000 of the European Parliament and of the Council of 17 July 2000 on a revised Community eco-label award scheme (10), Directive 2002/96/EC of the European Parliament and of the Council of 27 January 2003 on waste electrical and electronic equipment (WEEE) (11), Directive 2002/95/EC of the European Parliament and of the Council of 27 January 2003 on the restriction of the use of certain hazardous substances in electrical and electronic equipment (12), Directive 2006/121/EC of the European Parliament and of the Council of 18 December 2006 amending Council Directive 67/548/EEC on the approximation of laws, regulations and administrative provisions relating to the classification, packaging and labelling of dangerous substances in order to adapt it to Regulation (EC) No 1907/2006 concerning the Registration, Evaluation, Authorisation and Restriction of Chemicals (REACH) and establishing a European Chemicals Agency (13) and Regulation (EC) No 106/2008 of the European Parliament and of the Council of 15 January 2008 on a Community energy-efficiency labelling programme for office equipment (14). Synergies between this Directive and the existing Community instruments should contribute to increasing their respective impacts and building coherent requirements for manufacturers to apply. The measures necessary for the implementation of this Directive should be adopted in accordance with Council Decision 1999/468/EC of 28 June 1999 laying down the procedures for the exercise of implementing powers conferred on the Commission (15). In particular, the Commission should be empowered to amend or repeal Council Directive 92/42/EEC (16), and Directives 96/57/EC (17) and 2000/55/EC (18) of the European Parliament and of the Council. Such amendment or repeal must be adopted in accordance with the regulatory procedure with scrutiny provided for in Article 5a of Decision 1999/468/EC. In addition, the Commission should be empowered to adopt implementing measures laying down ecodesign requirements for defined energy-related products, including the introduction of implementing measures during the transitional period, and including where appropriate provisions on the balancing of the various environmental aspects. Since those measures are of general scope and are designed to amend non-essential elements of this Directive by supplementing it with new non-essential elements, they must be adopted in accordance with the regulatory procedure with scrutiny provided for in Article 5a of Decision 1999/468/EC. The Commission should, on the basis of the experience gained from applying this Directive, Directive 2005/32/EC and implementing measures, review the operation, methods and effectiveness of this Directive and assess the appropriateness of extending its scope beyond energy-related products. Within that review, the Commission should consult Member States’ representatives as well as concerned interested parties. Member States should determine the penalties to be applied in the event of infringements of the national provisions adopted pursuant to this Directive. Those penalties should be effective, proportionate and dissuasive. Since the objective of this Directive, namely to ensure the functioning of the internal market by requiring products to reach an adequate level of environmental performance, cannot be sufficiently achieved by the Member States and can therefore, by reason of its scale and effects, be better achieved at Community level, the Community may adopt measures, in accordance with the principle of subsidiarity as set out in Article 5 of the Treaty. In accordance with the principle of proportionality, as set out in that Article, this Directive does not go beyond what is necessary in order to achieve that objective. The obligation to transpose this Directive into national law should be confined to those provisions which represent a substantive change as compared with Directive 2005/32/EC. The obligation to transpose the provisions which are unchanged arises under Directive 2005/32/EC. This Directive should be without prejudice to the obligations of the Member States relating to the time limits for transposition into national law of the Directives set out in Annex IX, Part B. 1. This Directive establishes a framework for the setting of Community ecodesign requirements for energy-related products with the aim of ensuring the free movement of such products within the internal market. 2. This Directive provides for the setting of requirements which the energy-related products covered by implementing measures must fulfil in order to be placed on the market and/or put into service. It contributes to sustainable development by increasing energy efficiency and the level of protection of the environment, while at the same time increasing the security of the energy supply. 3. This Directive shall not apply to means of transport for persons or goods. 4. This Directive and the implementing measures adopted pursuant thereto shall be without prejudice to Community waste management legislation and Community chemicals legislation, including Community legislation on fluorinated greenhouse gases. ‘Harmonised standard’ means a technical specification adopted by a recognised standards body under a mandate from the Commission, in accordance with the procedure laid down in Directive 98/34/EC of the European Parliament and of the Council of 22 June 1998 laying down a procedure for the provision of information in the field of technical standards and regulations (22), for the purpose of establishing a European requirement, compliance with which is not compulsory. 1. Member States shall take all appropriate measures to ensure that products covered by implementing measures may be placed on the market and/or put into service only if they comply with those measures and bear the CE marking in accordance with Article 5.
take samples of products and subject them to compliance checks. 3. Member States shall keep the Commission informed about the results of the market surveillance, and where appropriate, the Commission shall pass on such information to the other Member States. 4. Member States shall ensure that consumers and other interested parties are given an opportunity to submit observations on product compliance to the competent authorities. to keep and make available the EC declaration of conformity and the technical documentation. 1. Before a product covered by implementing measures is placed on the market and/or put into service, a CE marking shall be affixed and an EC declaration of conformity issued whereby the manufacturer or its authorised representative ensures and declares that the product complies with all relevant provisions of the applicable implementing measure. 2. 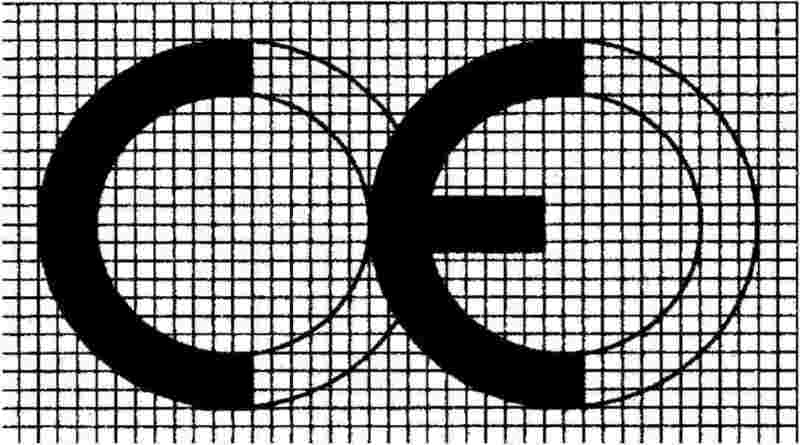 The CE marking consists of the initials ‘CE’ as shown in Annex III. 3. The EC declaration of conformity shall contain the elements specified in Annex VI and shall refer to the appropriate implementing measure. 4. The affixing of markings on a product which are likely to mislead users as to the meaning or form of the CE marking shall be prohibited. 5. Member States may require the information to be supplied pursuant to Annex I, Part 2 to be in their official language(s) when the product reaches the end-user. Member States shall also authorise the provision of this information in one or more other official languages of the institutions of the European Union. the type of user anticipated for the product and the nature of the information which is to be provided. 1. Member States shall not prohibit, restrict or impede the placing on the market and/or putting into service, within their territories, of a product that complies with all the relevant provisions of the applicable implementing measure and bears the CE marking in accordance with Article 5 on grounds of ecodesign requirements relating to those ecodesign parameters referred to in Annex I, Part 1 which are covered by the applicable implementing measure. 2. Member States shall not prohibit, restrict or impede the placing on the market and/or putting into service, within their territories, of a product bearing the CE marking in accordance with Article 5 on grounds of ecodesign requirements relating to those ecodesign parameters referred to in Annex I, Part 1 for which the applicable implementing measure provides that no ecodesign requirement is necessary. 3. Member States shall not prevent the display, for example at trade fairs, exhibitions and demonstrations, of products which are not in conformity with the provisions of the applicable implementing measure, provided that there is a visible indication that they may not be placed on the market and/or put into service until brought into conformity. 1. Where a Member State ascertains that a product bearing the CE marking referred to in Article 5 and used in accordance with its intended use does not comply with all the relevant provisions of the applicable implementing measure, the manufacturer or its authorised representative shall be obliged to make the product comply with the provisions of the applicable implementing measure and/or with the CE marking and to end the infringement under conditions imposed by the Member State. Where there is sufficient evidence that a product might be non-compliant, the Member State shall take the necessary measures which, depending on the gravity of the non-compliance, can go as far as the prohibition of the placing on the market of the product until compliance is established. Where non-compliance continues, the Member State shall take a decision restricting or prohibiting the placing on the market and/or putting into service of the product in question or ensure that it is withdrawn from the market. In cases of prohibition or withdrawal from the market, the Commission and the other Member States shall be immediately informed thereof. 2. Any decision by a Member State pursuant to this Directive which restricts or prohibits the placing on the market and/or the putting into service of a product shall state the grounds on which it is based. Such decision shall be notified forthwith to the party concerned, who shall at the same time be informed of the legal remedies available under the laws in force in the Member State concerned and of the time limits to which such remedies are subject. shortcomings in harmonised standards as referred to in Article 10(2). 4. The Commission shall enter into consultation with the parties concerned without delay and may draw upon technical advice from independent external experts. Following that consultation, the Commission shall immediately inform the Member State that took the decision and the other Member States of its views. Where the Commission considers that the decision is unjustified, it shall immediately inform the Member States to that effect. 5. Where the decision referred to in paragraph 1 of this Article is based on a shortcoming in a harmonised standard, the Commission shall immediately initiate the procedure set out in Article 10(2), (3) and (4). The Commission shall at the same time inform the Committee referred to in Article 19(1). 6. The Member States and the Commission shall take the necessary measures to guarantee confidentiality with regard to information provided during that procedure, where justified. 7. The decisions taken by Member States pursuant to this Article shall be made public in a transparent way. 8. The Commission’s opinion on those decisions shall be published in the Official Journal of the European Union. 1. Before placing a product covered by implementing measures on the market and/or putting such a product into service, the manufacturer or its authorised representative shall ensure that an assessment of the product’s conformity with all the relevant requirements of the applicable implementing measure is carried out. 2. The conformity assessment procedures shall be specified by the implementing measures and shall leave to manufacturers the choice between the internal design control set out in Annex IV to this Directive and the management system set out in Annex V to this Directive. Where duly justified and proportionate to the risk, the conformity assessment procedure shall be specified among relevant modules as described in Annex II to Decision No 768/2008/EC. Where a Member State has strong indications of probable non-compliance of a product, that Member State shall as soon as possible publish a substantiated assessment of the product’s compliance which may be conducted by a competent body in order to allow, if appropriate, for timely corrective action. Where a product covered by implementing measures is designed by an organisation registered in accordance with Regulation (EC) No 761/2001 of the European Parliament and of the Council of 19 March 2001 allowing voluntary participation by organisations in a Community eco-management and audit scheme (EMAS) (23) and the design function is included within the scope of that registration, the management system of that organisation shall be presumed to comply with the requirements of Annex V to this Directive. If a product covered by implementing measures is designed by an organisation having a management system which includes the product design function and which is implemented in accordance with harmonised standards, the reference numbers of which have been published in the Official Journal of the European Union, that management system shall be presumed to comply with the corresponding requirements of Annex V.
3. After placing a product covered by implementing measures on the market and/or putting it into service, the manufacturer or its authorised representative shall keep relevant documents relating to the conformity assessment performed and declarations of conformity issued available for inspection by Member States for a period of 10 years after the last of that product has been manufactured. The relevant documents shall be made available within 10 days of receipt of a request by the competent authority of a Member State. 4. Documents relating to the conformity assessment and the EC declaration of conformity referred to in Article 5 shall be drawn up in one of the official languages of the institutions of the European Union. 1. Member States shall regard a product bearing the CE marking referred to in Article 5 as conforming to the relevant provisions of the applicable implementing measure. 2. Member States shall regard a product for which harmonised standards have been applied, the reference numbers of which have been published in the Official Journal of the European Union, as conforming to all the relevant requirements of the applicable implementing measure to which such standards relate. 3. Products which have been awarded the Community Ecolabel pursuant to Regulation (EC) No 1980/2000 shall be presumed to comply with the ecodesign requirements of the applicable implementing measure in so far as those requirements are met by the ecolabel. 4. For the purposes of the presumption of conformity in the context of this Directive, the Commission, acting in accordance with the regulatory procedure referred to in Article 19(2), may decide that other ecolabels fulfil equivalent conditions to the Community Ecolabel pursuant to Regulation (EC) No 1980/2000. Products which have been awarded such other ecolabels shall be presumed to comply with the ecodesign requirements of the applicable implementing measure, in so far as those requirements are met by that ecolabel. 1. Member States shall, as far as possible, ensure that appropriate measures are taken to enable interested parties to be consulted at national level on the process of preparing and monitoring harmonised standards. 2. Where a Member State or the Commission considers that harmonised standards the application of which is presumed to satisfy specific provisions of an applicable implementing measure do not entirely satisfy those provisions, the Member State concerned or the Commission shall inform the Standing Committee set up under Article 5 of Directive 98/34/EC to that effect, indicating the reasons therefor. The Committee shall issue an opinion as a matter of urgency. 3. In the light of that Committee’s opinion, the Commission shall decide whether to publish, not to publish, to publish with restriction, to maintain or to withdraw the references to the harmonised standards concerned in the Official Journal of the European Union. 4. The Commission shall inform the European standardisation body concerned and, if necessary, issue a new mandate with a view to revising the harmonised standards concerned. Implementing measures may require a manufacturer or its authorised representative placing components and sub-assemblies on the market and/or putting them into service to provide the manufacturer of a product covered by implementing measures with relevant information on the material composition and the consumption of energy, materials and/or resources of the components or sub-assemblies. 1. Member States shall ensure that appropriate measures are taken in order to encourage the authorities responsible for implementing this Directive to cooperate with each other and provide each other and the Commission with information in order to assist the operation of this Directive and, in particular, to assist in the implementation of Article 7. The administrative cooperation and exchange of information shall take utmost advantage of electronic means of communication and may be supported by relevant Community programmes. Member States shall inform the Commission of the authorities responsible for applying this Directive. 2. The precise nature and structure of the exchange of information between the Commission and Member States shall be decided in accordance with the regulatory procedure referred to in Article 19(2). 3. The Commission shall take appropriate measures in order to encourage and contribute to the cooperation between Member States, referred to in this Article. 1. In the context of programmes from which small and medium-sized enterprises (SMEs) and very small firms can benefit, the Commission shall take into account initiatives which help SMEs and very small firms to integrate environmental aspects including energy efficiency when designing their products. 2. Guidelines covering specificities of SMEs active in the product sector affected may accompany an implementing measure. If necessary, and in accordance with paragraph 1, further specialised material may be produced by the Commission for facilitating the application of this Directive by SMEs. 3. Member States shall ensure, in particular by strengthening support networks and structures, that they encourage SMEs and very small firms to adopt an environmentally sound approach as early as at the product design stage and to adapt to future European legislation. when required by the implementing measures, the ecological profile of the product and the benefits of ecodesign. 1. Where a product meets the criteria listed under paragraph 2 of this Article, it shall be covered by an implementing measure or by a self-regulation measure in accordance with paragraph 3(b) of this Article. Such implementing measures, designed to amend non-essential elements of this Directive by supplementing it, shall be adopted in accordance with the regulatory procedure with scrutiny referred to in Article 19(3). a wide disparity in the environmental performance of products available on the market with equivalent functionality. relevant Community legislation and self-regulation, such as voluntary agreements, which, following an assessment in accordance with Article 17, are expected to achieve the policy objectives more quickly or at lesser expense than mandatory requirements. set implementing date(s), any staged or transitional measure or periods, taking into account, in particular, possible impacts on SMEs or on specific product groups manufactured primarily by SMEs. no excessive administrative burden shall be imposed on manufacturers. 6. Implementing measures shall lay down ecodesign requirements in accordance with Annex I and/or Annex II. Specific ecodesign requirements shall be introduced for selected environmental aspects which have a significant environmental impact. Implementing measures may also provide that no ecodesign requirement is necessary for certain specified ecodesign parameters referred to in Annex I, Part 1. 7. The requirements shall be formulated so as to ensure that market surveillance authorities can verify the conformity of the product with the requirements of the implementing measure. The implementing measure shall specify whether verification can be achieved directly on the product or on the basis of the technical documentation. 8. Implementing measures shall include the elements listed in Annex VII. 9. Relevant studies and analyses used by the Commission in preparing implementing measures should be made publicly available, taking into account in particular easy access and use by interested SMEs. 10. Where appropriate, an implementing measure laying down ecodesign requirements shall include provisions on the balancing of various environmental aspects. Those measures, designed to amend non-essential elements of this Directive by supplementing it, shall be adopted in accordance with the regulatory procedure with scrutiny referred to in Article 19(3). 1. In accordance with the criteria set out in Article 15 and having consulted the Consultation Forum referred to in Article 18, the Commission shall, not later than 21 October 2011 establish a working plan which shall be made publicly available. The working plan shall set out for the following three years an indicative list of product groups which are considered as priorities for the adoption of implementing measures. The working plan shall be amended periodically by the Commission after consultation with the Consultation Forum. a separate implementing measure reducing stand-by losses for a group of products. Those measures, designed to amend non-essential elements of this Directive by supplementing it, shall be adopted in accordance with the regulatory procedure with scrutiny referred to in Article 19(3). Voluntary agreements or other self-regulation measures presented as alternatives to implementing measures in the context of this Directive shall be assessed at least on the basis of Annex VIII. The Commission shall ensure that, in the conduct of its activities, it observes, in respect of each implementing measure, a balanced participation of Member States’ representatives and all interested parties concerned with the product or product group in question, such as industry, including SMEs and craft industry, trade unions, traders, retailers, importers, environmental protection groups and consumer organisations. These parties shall contribute, in particular, to defining and reviewing implementing measures, to examining the effectiveness of the established market surveillance mechanisms and to assessing voluntary agreements and other self-regulation measures. These parties shall meet in a Consultation Forum. The rules of procedure of the Forum shall be established by the Commission. The Member States shall lay down the rules applicable to infringements of the national provisions adopted pursuant to this Directive and shall take all measures necessary to ensure that they are implemented. The penalties provided for shall be effective, proportionate and dissuasive, taking into account the extent of non-compliance and the number of units of non-complying products placed on the Community market. The Member States shall notify those provisions to the Commission by 20 November 2010 and shall notify it without delay of any subsequent amendment affecting them. Following this review, and considering, in particular, the experience related to the extended scope of this Directive, the Commission shall assess, notably, the appropriateness of extending the scope of the Directive to non-energy-related products, in order to significantly reduce environmental impacts throughout such products’ whole life cycle, after consultation of the Consultation Forum referred to in Article 18, and shall, as appropriate, present proposals to the European Parliament and the Council for amending this Directive. Requirements relating to the supply of information referred to in Article 11 and Annex I, Part 2, by the manufacturer and/or its authorised representative shall be proportionate and shall take into account the legitimate confidentiality of commercially sensitive information. 1. Member States shall bring into force the laws, regulations and administrative provisions necessary to comply with Articles 1 to 9, 11, 14, 15 and 20 and Annexes I to V, VII and VIII by 20 November 2010. They shall forthwith communicate to the Commission the text of those provisions. When Member States adopt these measures, they shall contain a reference to this Directive or shall be accompanied by such reference on the occasion of their official publication. They shall also include a statement that references in existing laws, regulations and administrative provisions to the Directive repealed by this Directive shall be construed as references to this Directive. Member States shall determine how such reference is to be made and how that statement is to be formulated. Directive 2005/32/EC, as amended by the Directive listed in Annex IX, Part A, is hereby repealed, without prejudice to the obligations of the Member States relating to the time limits for transposition into national law of the Directives set out in Annex IX, Part B.
References to the repealed Directive shall be construed as references to this Directive and shall be read in accordance with the correlation table in Annex X. Done at Strasbourg, 21 October 2009. (1) OJ C 100, 30.4.2009, p. 120. (2) Opinion of the European Parliament of 24 April 2009 (not yet published in the Official Journal) and Council Decision of 24 September 2009. (3) OJ L 191, 22.7.2005, p. 29. (4) OJ L 242, 10.9.2002, p. 1. (5) OJ L 218, 13.8.2008, p. 82. (6) OJ L 218, 13.8.2008, p. 30. (7) OJ C 136, 4.6.1985, p. 1. (8) OJ C 141, 19.5.2000, p. 1. (9) OJ L 297, 13.10.1992, p. 16. (10) OJ L 237, 21.9.2000, p. 1. (11) OJ L 37, 13.2.2003, p. 24. (12) OJ L 37, 13.2.2003, p. 19. (13) OJ L 396, 30.12.2006, p. 1. (14) OJ L 39, 13.2.2008, p. 1. (15) OJ L 184, 17.7.1999, p. 23. (16) OJ L 167, 22.6.1992, p. 17. (17) OJ L 236, 18.9.1996, p. 36. (18) OJ L 279, 1.11.2000, p. 33. (19) OJ C 321, 31.12.2003, p. 1. (20) OJ L 114, 27.4.2006, p. 9. (21) OJ L 377, 31.12.1991, p. 20. (22) OJ L 204, 21.7.1998, p. 37. (23) OJ L 114, 24.4.2001, p. 1. Generic ecodesign requirements aim at improving the environmental performance of products, focusing on significant environmental aspects thereof without setting limit values. The method referred to in this Annex must be applied when it is not appropriate to set limit values for the product group under examination. The Commission must, when preparing a draft implementing measure to be submitted to the Committee referred to in Article 19(1), identify significant environmental aspects which must be specified in the implementing measure. In preparing implementing measures laying down generic ecodesign requirements pursuant to Article 15, the Commission must identify, as appropriate to the product covered by the implementing measure, the relevant ecodesign parameters from among those listed in Part 1, the information supply requirements from among those listed in Part 2 and the requirements for the manufacturer listed in Part 3.
end-of-life, meaning the state of a product having reached the end of its first use until its final disposal. possibilities for reuse, recycling and recovery of materials and/or of energy, taking into account Directive 2002/96/EC. emissions to soil (especially leakage and spills of dangerous substances during the use phase of the product, and the potential for leaching upon its disposal as waste). information for treatment facilities concerning disassembly, recycling, or disposal at end-of-life. Information should be given on the product itself wherever possible. This information must take into account obligations under other Community legislation, such as Directive 2002/96/EC. Addressing the environmental aspects identified in the implementing measure as capable of being influenced in a substantial manner through product design, manufacturers of products must perform an assessment of the product model throughout its lifecycle, based upon realistic assumptions about normal conditions and purposes of use. Other environmental aspects may be examined on a voluntary basis. On the basis of this assessment, manufacturers must establish the product's ecological profile. It must be based on environmentally relevant product characteristics and inputs/outputs throughout the product life cycle expressed in physical quantities that can be measured. Manufacturers must make use of this assessment to evaluate alternative design solutions and the achieved environmental performance of the product against benchmarks. The benchmarks must be identified by the Commission in the implementing measure on the basis of information gathered during the preparation of the measure. The choice of a specific design solution must achieve a reasonable balance between the various environmental aspects and between environmental aspects and other relevant considerations, such as safety and health, technical requirements for functionality, quality, and performance, and economic aspects, including manufacturing costs and marketability, while complying with all relevant legislation. (1) OJ 196, 16.8.1967, p. 1. (2) OJ L 262, 27.9.1976, p. 201. (3) OJ L 59, 27.2.1998, p. 1. Specific ecodesign requirements aim at improving a selected environmental aspect of the product. They may take the form of requirements for reduced consumption of a given resource, such as a limit on the use of a resource in the various stages of an product’s life cycle, as appropriate (such as a limit on water consumption in the use phase or on the quantities of a given material incorporated in the product or a requirement for minimum quantities of recycled material). A technical, environmental and economic analysis must select a number of representative models of the product in question on the market and identify the technical options for improving the environmental performance of the product, keeping sight of the economic viability of the options and avoiding any significant loss of performance or of usefulness for consumers. The technical, environmental and economic analysis must also identify, for the environmental aspects under consideration, the best-performing products and technology available on the market. The performance of products available on international markets and benchmarks set in other countries’ legislation should be taken into consideration during the analysis as well as when setting requirements. On the basis of this analysis, and taking into account economic and technical feasibility as well as the potential for improvement, concrete measures must be taken with a view to minimising the product’s environmental impact. Concerning energy consumption in use, the level of energy efficiency or consumption must be set aiming at the life cycle cost minimum to end-users for representative product models, taking into account the consequences on other environmental aspects. The life cycle cost analysis method uses a real discount rate on the basis of data provided from the European Central Bank and a realistic lifetime for the product; it is based on the sum of the variations in purchase price (resulting from the variations in industrial costs) and in operating expenses, which result from the different levels of technical improvement options, discounted over the lifetime of the representative product models considered. The operating expenses cover primarily energy consumption and additional expenses in other resources, such as water or detergents. A sensitivity analysis covering the relevant factors, such as the price of energy or other resource, the cost of raw materials or production costs, discount rates, and, where appropriate, external environmental costs, including avoided greenhouse gas emissions, must be carried out to check if there are significant changes and if the overall conclusions are reliable. The requirement will be adapted accordingly. A similar methodology may be applied to other resources such as water. For the development of the technical, environmental and economic analyses, information available in the framework of other Community activities may be used. The same applies for information available from existing programmes applied in other parts of the world for setting the specific ecodesign requirement of products traded with the European Union’s economic partners. The date of entry into force of the requirement must take the redesign cycle for the product into account. The CE marking must have a height of at least 5 mm. If the CE marking is reduced or enlarged the proportions given in the above graduated drawing must be respected. The CE marking must be affixed to the product. Where this is not possible, it must be affixed to the packaging and to the accompanying documents. This Annex describes the procedure whereby the manufacturer or its authorised representative who carries out the obligations laid down in point 2 ensures and declares that the product satisfies the relevant requirements of the applicable implementing measure. The EC declaration of conformity may cover one or more products and must be kept by the manufacturer. A technical documentation file making possible an assessment of the conformity of the product with the requirements of the applicable implementing measure must be compiled by the manufacturer. the results of measurements on the ecodesign requirements carried out, including details of the conformity of these measurements as compared with the ecodesign requirements set out in the applicable implementing measure. The manufacturer must take all measures necessary to ensure that the product is manufactured in compliance with the design specifications referred to in point 2 and with the requirements of the measure which apply to it. 1. This Annex describes the procedure whereby the manufacturer who satisfies the obligations of point 2 ensures and declares that the product satisfies the requirements of the applicable implementing measure. The EC declaration of conformity may cover one or more products and must be kept by the manufacturer. 2. A management system may be used for the conformity assessment of a product provided that the manufacturer implements the environmental elements specified in point 3. This point specifies the elements of a management system and the procedures by which the manufacturer can demonstrate that the product complies with the requirements of the applicable implementing measure. The manufacturer must be able to demonstrate conformity with the requirements of the applicable implementing measure. The manufacturer must also be able to provide a framework for setting and reviewing environmental product performance objectives and indicators with a view to improving the overall environmental product performance. All the measures adopted by the manufacturer to improve the overall environmental performance of, and to establish the ecological profile of, a product, if required by the implementing measure, through design and manufacturing, must be documented in a systematic and orderly manner in the form of written procedures and instructions. the method of verifying the implementation and effectiveness of the environmental elements of the management system. a programme for achieving these objectives. the manufacturer must establish and maintain information to describe the core environmental elements of the management system and the procedures for controlling all documents required. copy of the information concerning the environmental design aspects of the product provided in accordance with the requirements specified in Annex I, Part 2.
carry out at least every three years a full internal audit of the management system with regard to its environmental elements. the identification and signature of the person empowered to bind the manufacturer or its authorised representative. the date for the evaluation and possible revision of the implementing measure, taking into account the speed of technological progress. Self-regulatory initiatives must be open to the participation of third country operators, both in the preparatory and in the implementation phases. Self-regulatory initiatives must deliver added value (more than ‘business as usual’) in terms of the improved overall environmental performance of the product covered. Industry and their associations taking part in a self-regulatory action must represent a large majority of the relevant economic sector, with as few exceptions as possible. Care must be taken to ensure respect for competition rules. The objectives defined by the stakeholders must be set in clear and unambiguous terms, starting from a well-defined baseline. If the self-regulatory initiative covers a long time-span, interim targets must be included. It must be possible to monitor compliance with objectives and (interim) targets in an affordable and credible way using clear and reliable indicators. Research information and scientific and technological background data must facilitate the development of these indicators. With a view to ensuring transparency, self-regulatory initiatives must be publicised, including through the use of the Internet and other electronic means of disseminating information. The same must apply to interim and final monitoring reports. Stakeholders including Member States, industry, environmental NGOs and consumers’ associations must be invited to comment on a self-regulatory initiative. Self-regulatory initiatives must contain a well-designed monitoring system, with clearly identified responsibilities for industry and independent inspectors. The Commission services, in partnership with the parties to the self-regulatory initiative, must be invited to monitor the achievement of the objectives. The plan for monitoring and reporting must be detailed, transparent and objective. It must remain for the Commission services, assisted by the Committee referred to in Article 19(1), to consider whether the objectives of the voluntary agreement or other self-regulatory measures have been met. The cost of administering self-regulatory initiatives, in particular as regards monitoring, must not lead to a disproportionate administrative burden, as compared to their objectives and to other available policy instruments. Self-regulatory initiatives must respond to the policy objectives of this Directive, including the integrated approach, and must be consistent with the economic and social dimensions of sustainable development. The protection of the interests of consumers, health, quality of life and economic interests, must be integrated. Self-regulatory initiatives are unlikely to deliver the expected results if other factors and incentives — market pressure, taxes, and legislation at national level — send contradictory signals to participants in the self-regulatory initiative. Policy consistency is essential in this regard and must be taken into consideration when assessing the effectiveness of the initiative.